I know there are many people that love nothing more than to escape at Christmas time and a cruise is becoming more and more popular as a Christmas holiday option but, believe it or not I’m not sure if it is something I would want to do myself. As much as I love to cruise if I was embarking on a voyage over Christmas it would HAVE to be cruising to somewhere cold and where snow is virtually a guarantee. I can’t do sunshine and warmth at Christmas time, I suppose I’m a bit like the Home Alone character, Kevin, when his parents say they are going to celebrate the season in Miami he just can’t understand how you can celebrate Christmas somewhere warm and without a proper Christmas tree……my brain can’t quite grasp it either. The cruise I was on last November actually returned back to Southampton on December 15th and I was desperate to see the Christmas tree. 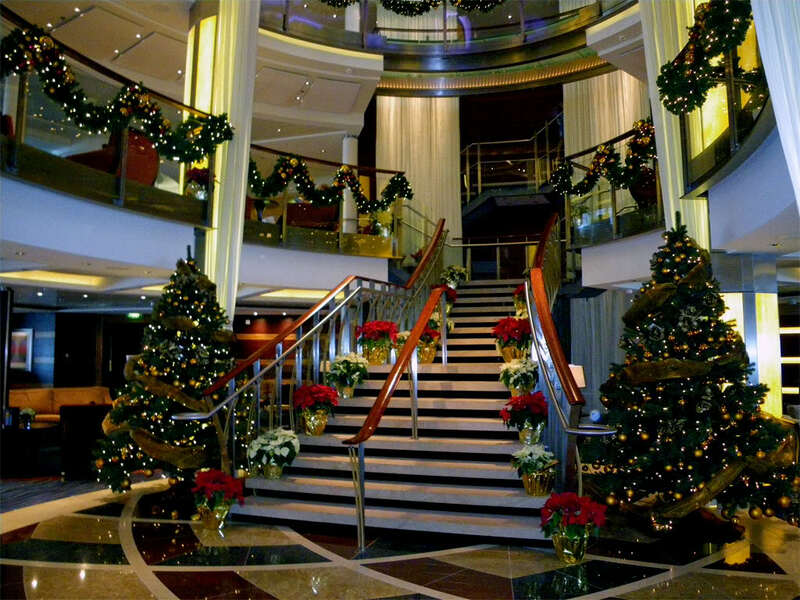 I had been like an excited child the night before disembarkation, kidding myself that during the night the crew would have erected this magnificent Christmas tree in the atrium not only in time for the next cruise but in order to leave us with a parting Christmas memory. Oh how wrong was I, there was no tree the next morning as we made our way off the ship. I instead was mentally tortured by the sight of the beautiful tree sitting in the back of a white van in five different sections waiting to be brought onto the ship. I love Christmas, the smells, the music, the food but most of all the TREE!!! I couldn’t move for a second, all I could do was watch as workmen lifted it out bit by bit, my friend trying to drag me away from the glass as I was starting to hinder the flow of traffic leaving the ship. So if I go back to the original topic of this blog which was a Christmas cruise, as I say unless the ship is going to somewhere like Antarctica or Norway, I’m not sure I could go, and yes it pains me to say that!! I am all for winter sun but not if I was celebrating Christmas. Sorry, but it would have to be freezing cold outside! Hi Danielle, Well we have done just this one year and took a two week cruise to the Southern Caribbean during the holidays. 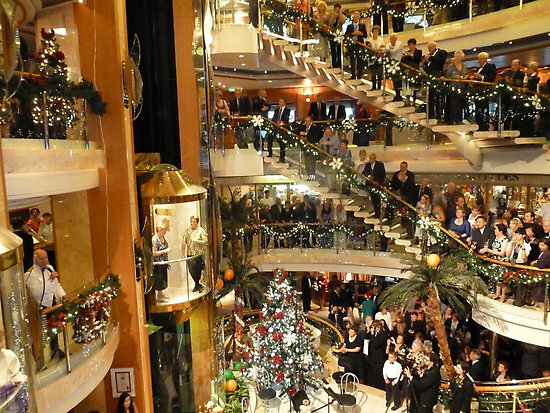 We were on the ship for both Christmas and New Years. We both had grown up in warmer States of the US, Hubby in FLA and Me in CA, so the cool weather thing was not really something we had growing up. The ship seemed to be a bit older and the crew were very much in holiday mode. The Captain’s Girlfriend was on the ship with him and he and is officers were in the bar a lot at night. Not sure who was driving the ship, but it didn’t seem to be him. Being one of the youngest couples on the ship, we ended up becoming friendly with Jan and Melinda and some of the crew. So New Years was great! What I did miss was our family and Christmas morning. Other than that, the cruise was an absolute blast!